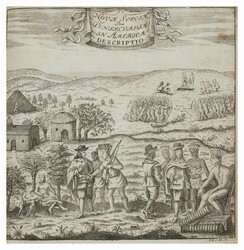 Novae Sveciae Seu Pensylvaniae in America Descriptio. 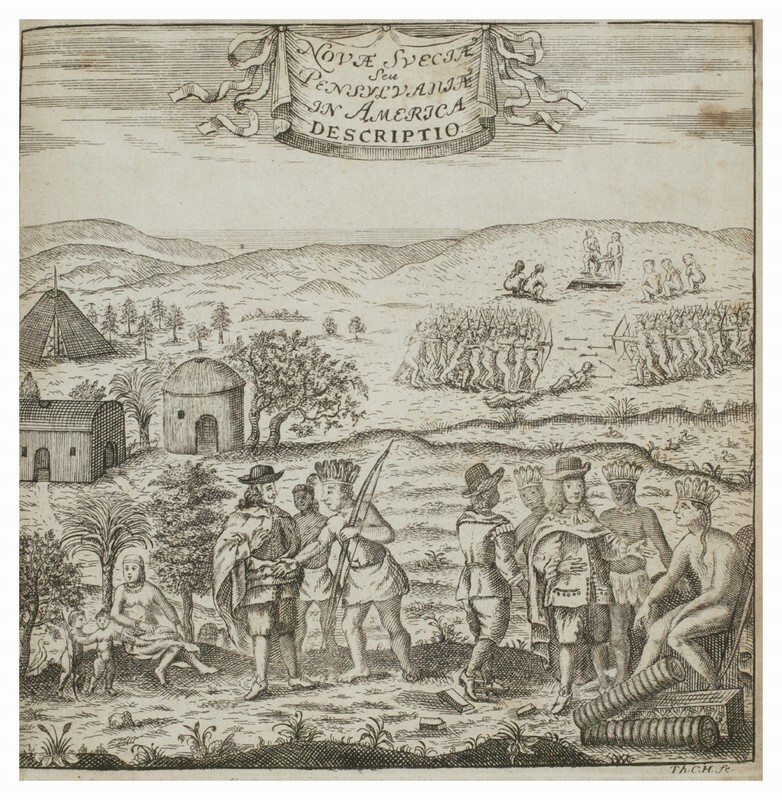 Engraved frontispiece from Thomas Campanius Holm, Kort Beskrifning om Provincien Nya Swerige uit America. (Stockholm, 1702).